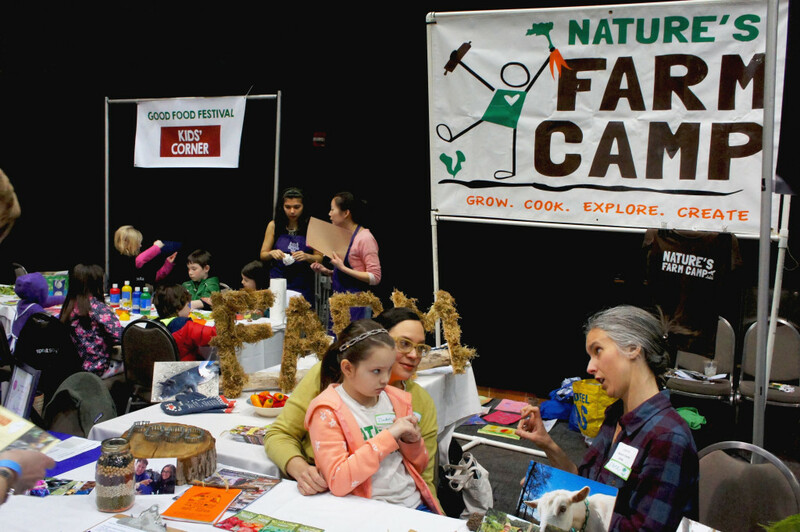 FamilyFarmed’s Good Food Festival — our big public celebration of the rising Good Food movement — is coming up on Saturday, March 18. It will feature all the usual great reasons to attend: awesome chef demos, hands-on classes, timely discussions of food issues, Good Food Marketplace featuring great farm and food vendors, family-friendly programming for kids and their parents, and much more. Yes, that’s right. You are invited to attend the Good Food Festival for free, and all you need to do is pre-register by clicking here and scrolling down to the Saturday ticket link. 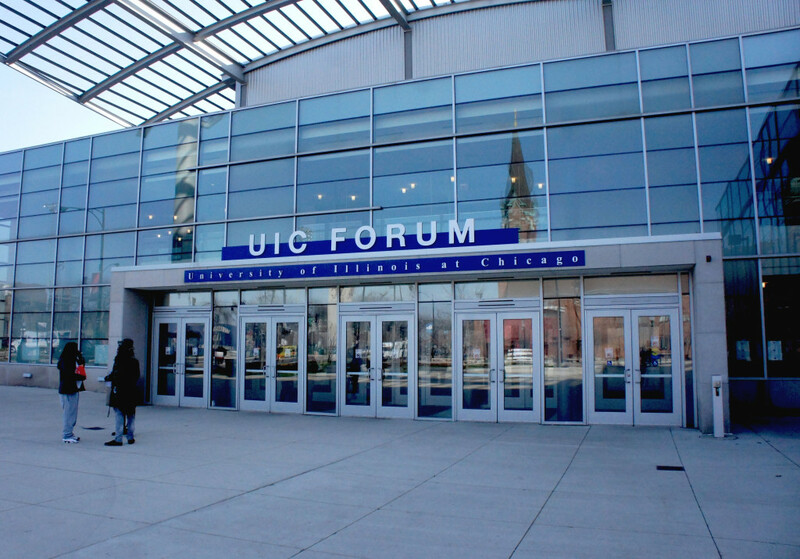 Your free ticket will provide access to all of the great programming onsite from 10 a.m. to 5 p.m. at the UIC Forum, located at 725 W. Roosevelt Rd. on the University of Illinois at Chicago campus. The free admission does not include our fun and informative Urban Farm Bus Tour, which requires a $75 ticket, or the food and beverages that will be available for purchase at our Good Food Court. To learn more about the bus tour, please click here. FamilyFarmed is devoted to “Good Food on Every Table,” and that means bringing more Good Food — and more information about healthy, nutritious, environmentally sustainable eating — to people with limited financial means. “We are hopeful that by giving tickets to the Festival away, we will draw an even bigger audience, one that is more demographically and economically diverse, than we have had at our previous 12 Good Food Festivals,” said Jim Slama, FamilyFarmed’s president and founder. 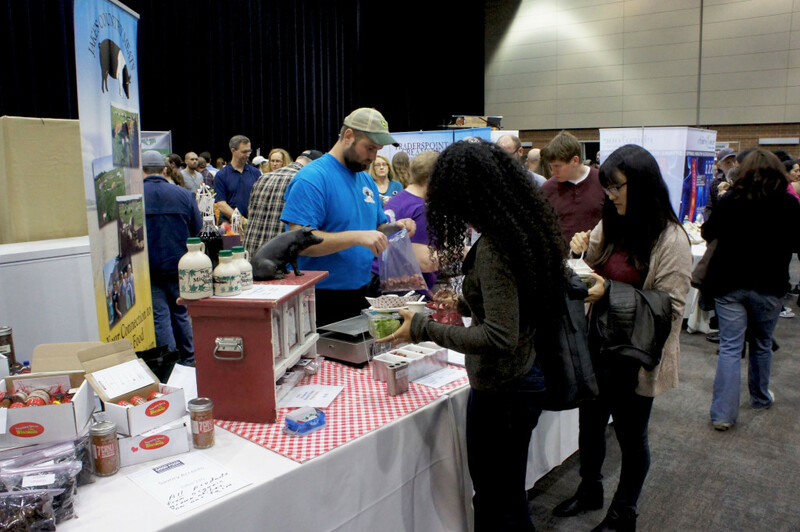 Increased attendance — and the little bit of extra spending money that the free admission will provide attendees — will also benefit the dozens of great food businesses that will be exhibiting, providing samples and, in many cases, selling their products in the Festival’s main hall. FamilyFarmed is still accepting applications to be an exhibitor, click here for more information if you are interested. Donations by attendees will be welcome to help offset the costs of staging the Festival, but these will be optional. While the full Festival program is not 100 percent complete, FamilyFarmed already has a great lineup that we believe will make you want to attend. 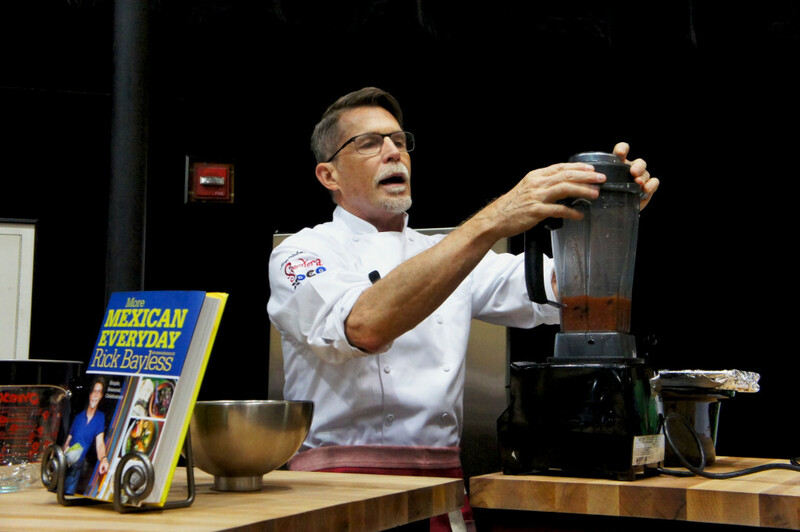 Chef Demos: Our annual Chefs at Play stage will feature cooking demonstrations by Chicago culinary heroes nearly throughout the Festival day: from 10:30 a.m. through 5 p.m. Already confirmed are Rick Bayless of the Frontera restaurant group, who is celebrating 30 years of popularizing regional Mexican cuisine at his flagship Frontera Grill; Rob Levitt, the meat expert and chef who runs The Butcher & Larder shop inside the Local Foods retail store; and Paula Haney of the Hoosier Mama Pie Company. Rick Bayless’ Frontera Farmer Foundation, which has provided nearly $2 million in grants to help Midwestern farmers succeed, and FamilyFarmed recently announced a new philanthropic partnership — and they will be staging the Frontera 30th Anniversary Celebration at the Art Institute of Chicago on Sunday, April 30 that will benefit both organizations’ efforts to get Good Food on Every Table. For more information on this exciting event, please click here. Food Issue Discussions: This year’s informational sessions include Good Food is Good Medicine, focused on the growing efforts in the medical community to integrate better nutrition and eating habits into how we think about health care; Mood & Food; Good Food & Waste: What’s a Consumer To Do? ; Sustainable Seafood: What’s It All About; Urban Agriculture’s Presence and Importance with Good Food; Good Food Programs in Our Schools; and The Importance of Soil and Its Connection to Good Food. Good Food and Children: Programming will include a panel on Good Food in schools and a presentation by Purple Asparagus, a longtime participant in the Good Food Festival, which brings engaging lessons about food to children in classrooms. The Organic Valley Good Food Commons: Cultivate your curiosity and learn new skills at informal, 20-minute micro-workshops, sponsored by Organic Valley. Topics may include growing and preserving; cooking and culinary techniques; composting; raising animals; and ways to build and strengthen the Good Food movement in our communities. And if you just want to browse, you can wander the aisles of our exhibit floor; try samples of great food; meet, chat with and buy products from the farm and food producers; learn from farmers about Community Supported Agriculture and sign up for a CSA subscription; and grab a great meal or a beverage from the Good Food Court. 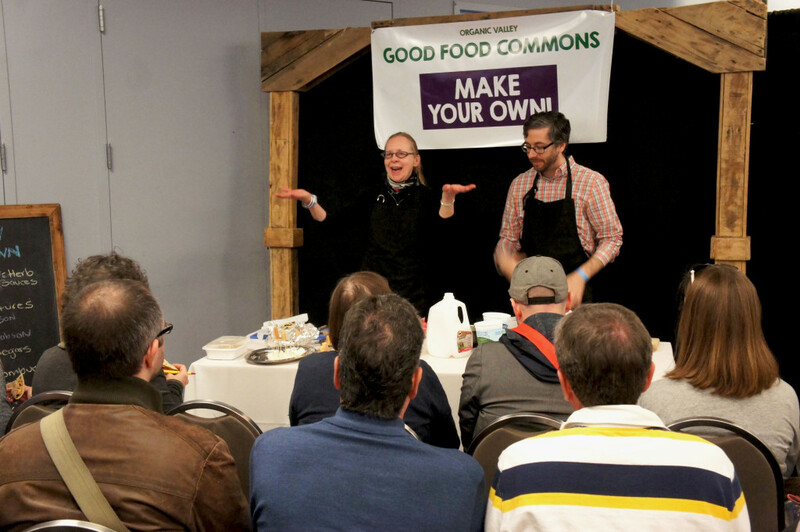 The Good Food Festival wraps up the annual three-day event which begins on Thursday, March 16 with the Good Food Financing & Innovation Conference and continues on Friday, March 17 with the Good Food Trade Show & Policy Conference. These programs, which require a paid ticket, are aimed primarily at those engaged professionally in the sector, but are affordably priced for members of the general public with strong interests in Good Food. Tickets can be purchased by clicking here, and we will share more details about those days’ programming soon on Good Food on Every Table. This entry was posted in CSAs, Family Farms, Farm businesses, Financing, Food education, Good Food and economic development, Good Food Festivals, Local Food, Small Farmers and tagged FamilyFarmed, Frontera restaurant group, Good Food Festival, Good Food Festival & Conference, Hoosier Mama Pie Company, Local Foods Chicago, Organic Valley, Purple Asparagus, Rick Bayless, Rob Levitt, The Butcher & Larder. Bookmark the permalink.